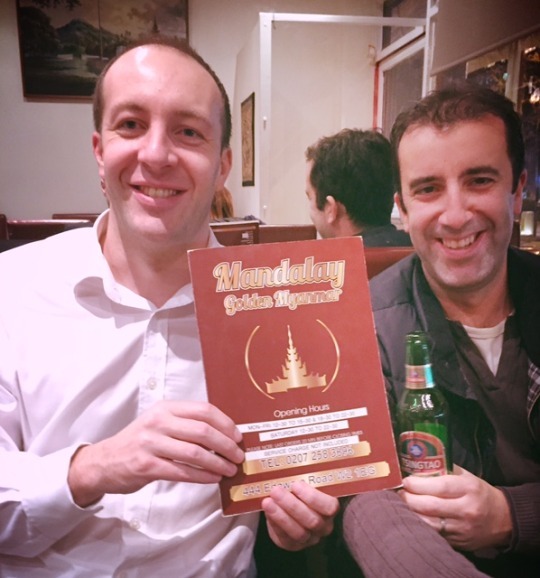 In December we went to the “Mandalay Golden Myanmar Restaurant” on Edgware Road, a restaurant that has been run by the Ally family for over two decades. There is nothing flash about the Mandalay, but it has received some recognition over the years, including Time Out ‘Best Budget Meal/ Cheap Eats’ in 1996 and 2009, and the food is good, cheap and authentic. We kicked things off with spring rolls, samosas (so so) and fritters. Recommended mains include the lamb dishes, including the ‘Lamb in Tamarind’ (£7.50) and a national speciality ‘Noodles Coconut Chicken/ Prawns’ (£8.50/9.50) which were excellent. 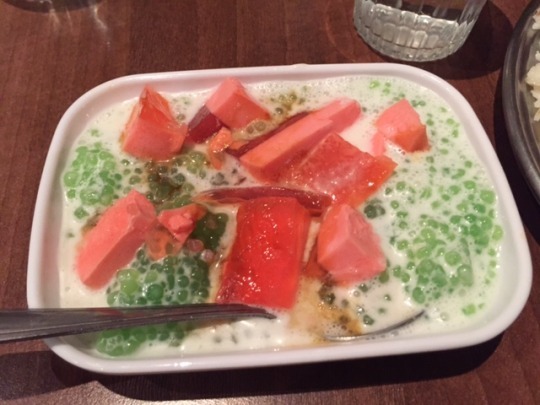 We pushed the boat out and ordered Banana Fritters with Ice Cream (safe bet) and the more adventurous ‘Special Burmese Dessert – Agar Agar Tapioca Coconut Milk’ which was something else – and curiously edible.